Sometimes all you need is a hearty bowl of pasta to get you through the cold winter nights. 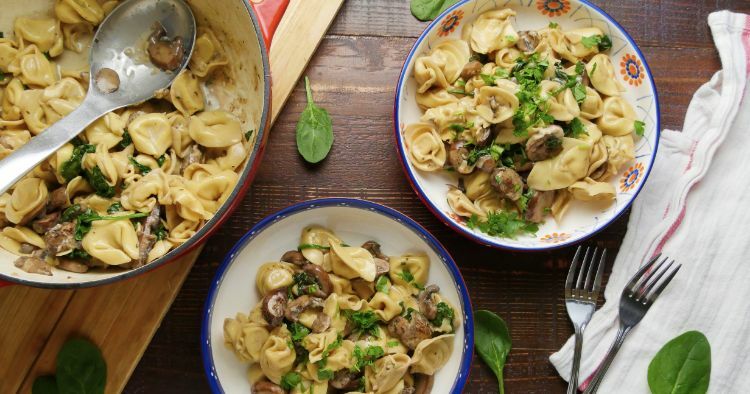 This one-pot mushroom tortellini is the kind of comfort food everyone craves, filled with cheese, cream, and delicious crimini mushrooms. Best of all, this dish is completely vegetarian, but filled with flavor, so even the meat eaters in your group won't feel left behind! This dish is also great for people who are short on time. The recipe below can be cooked all in one pot, and can be completed in less than 30 minutes! That's shorter than getting delivery from your favorite Italian take-out place, and guaranteed healthier, as well! This recipe mainly focuses on the mushrooms, but you can feel free to add your favorite vegetables to the mix! Bring a large pot of salted water to a rolling boil. 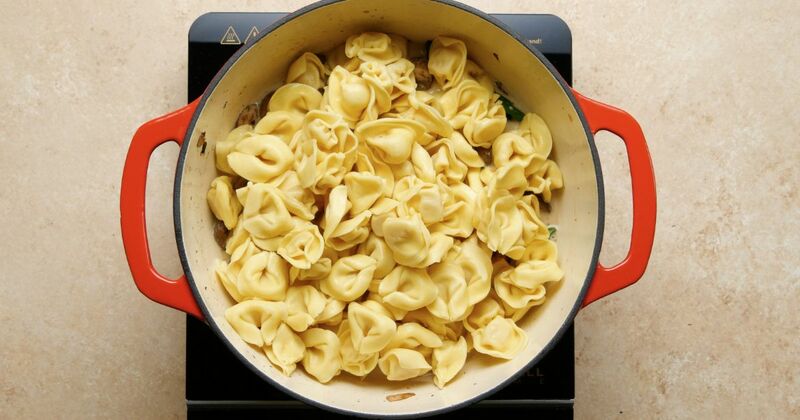 Add tortellini to the pot and prepare according to the package instructions for "al dente." Drain and set aside. Add the garlic to the skillet, and sauté until it becomes light brown and fragrant, about 1-2 mins. Add the mushrooms to the skillet and sauté until the mushrooms start to wilt down. Add the vegetable stock and heavy cream to the skillet, and stir to combine. Reduce heat to medium-low and allow to simmer and cook down, about 3-5 mins. Add the spinach and parmesan cheese, and stir to incorporate into the sauce. Season with salt and pepper to taste. Pour the cooked tortellini into the skillet, and carefully fold together to coat the pasta in the mushroom sauce. Over medium-low heat, bring the pasta back up to temperature. Once the dish is hot, remove from the heat and sprinkle in chopped parsley. Mix to thoroughly combine. Serve immediately on individual plates. Garnish with more fresh parsley or grated parmesan cheese. Pro-tip: This meal can be made non-vegetarian by using beef broth and adding small chunks of steak. Pro-tip: Use any mixture of mushrooms you like, no need to stick with just crimini!